The Minister for National Development in speaking at the Real Estate Developers’ Association of Singapore (REDAS) 59th Anniversary Dinner said that the Government will intervene in the property cycle in order to yield more benefits for the majority of Singaporeans in the long term. Mr Wong said that in the last property cycle, the Government acted after a very sharp rise in prices, and that it had to intervene eight times before stability was restored. He added that the Government learnt from that experience and decided to move quickly to implement the latest round of cooling measures in July this year. “Within a period of 12 months from mid-2017 to mid-2018, prices had increased by more than nine per cent. To put this in context, in the last cycle, it took the Government eight rounds of cooling measures over a period of four years – and over this period of four years, prices came down by about 12 per cent. But within one year, prices had shot back up by nine per cent. And there was every indication that the price increase would continue, because the developers’ bids for Government Land Sales (GLS) sites indicated quite bullish expectations of a continued rapid increase in property prices. He explained that these where the reasons why the measures were put in place and that they were intended to moderate the property cycle. He said that the objective of the Government’s intervention was not to bring prices down, but to steady the property cycle and to stabilise the market – to have a steady and sustained property market, where prices move broadly in line with income growth, or fundamentals. Mr Wong suggested that if not for Government intervention, the natural tendency of market dynamics may be such that prices would go beyond nine per cent, to possibly double-digits by the end of 2018. In explaining the Government’s thinking and the rationale for the property cooling measures, he said that he hoped to make the developers understand the framework in which the Government thinks about the property cycle, so that they can then plan ahead in their own business planning and decisions. 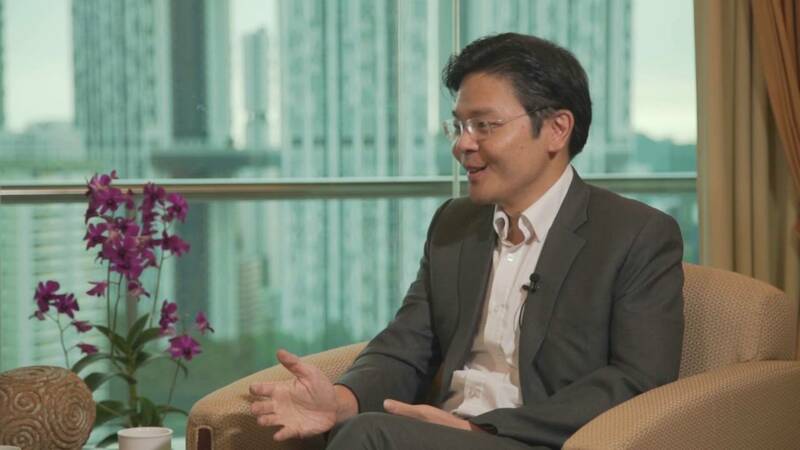 In saying why he differed from views that his Ministry should not intervene in property cycles, Mr Wong added that he is of the view that intervention is necessary to achieve a stable property market; one where prices continue to rise steadily in line with fundamentals. “We believe that this approach is one that will yield more benefits for the majority of Singaporeans in the long term. Those who own homes for the long term – either for living in them, or investment – will benefit ultimately,” said the Minister.